Home » Food/Drink » What’s for Dinner? Cicadas! 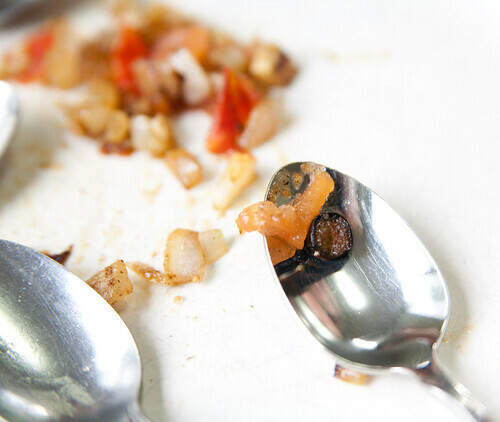 I learned a new word recently: entomophagy, or the practice of eating insects, particularly by humans. 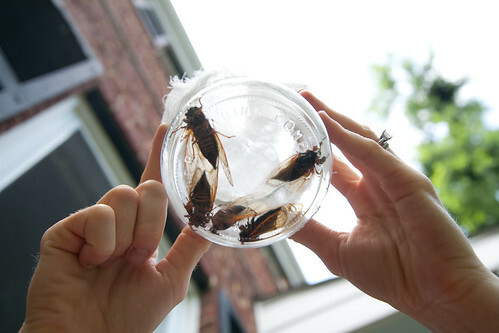 Like me and my neighbor Jen, you probably got your fill of news stories about the arrival of the 17-year cicadas this spring. 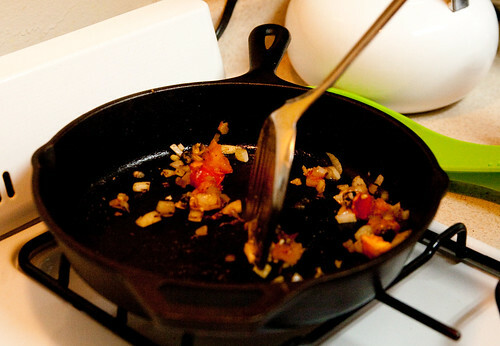 Maybe you also heard a few, like this NPR story, that included recipes. 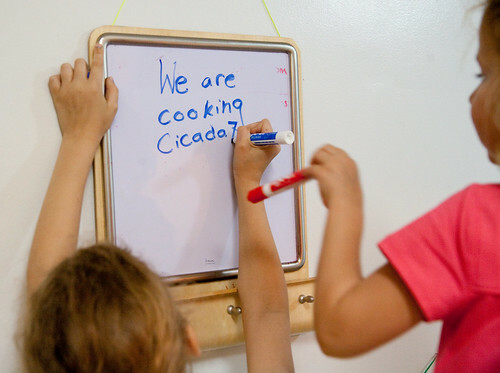 Jen and I were so fascinated by the cicadas and the phenomenon of entomophagy, which is cited as a way to improve global food security by the United Nations, that we decided to cook some cicadas ourselves. 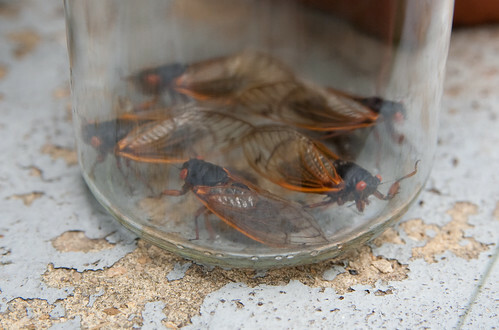 Since we haven’t seen any cicadas in Del Ray, Jen gathered some during her visit to Gainesville, where they were so loud she could hear them over traffic on the highway. We weren’t quite sure how to begin. 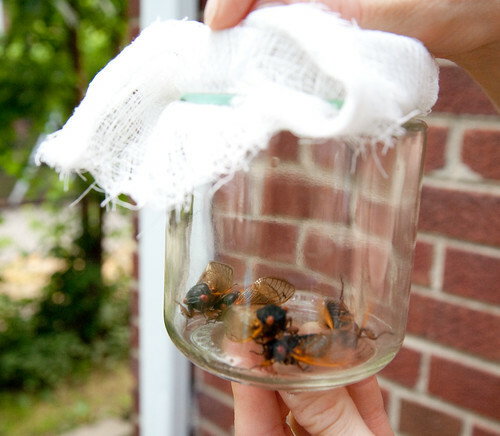 And, admittedly, we were feeling reluctant to harm the cicadas when we got a good look at them close-up. As bugs go, they’re quite beautiful. But, we were committed to the project. Jen had read that you pull off legs and wings and boil them for 5 minutes to get rid of soil bacteria. We had a really hard time pulling off their wings while they were alive, so instead we plunged them into the boiling water. We then removed the wings and legs – and the heads, incidentally. 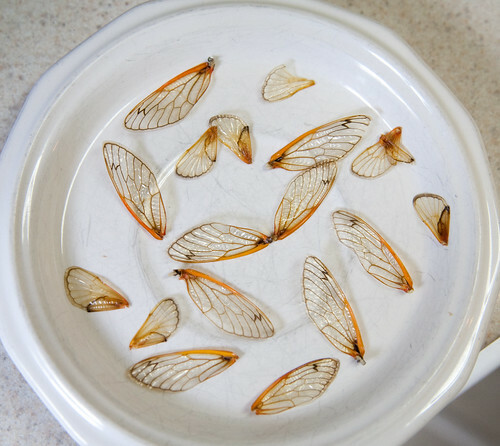 The wings remained intact and still as shiny and delicate as when they were alive. We’re saving them to display in some way. and then fried them in some butter, onions, garlic, red pepper, and salt. 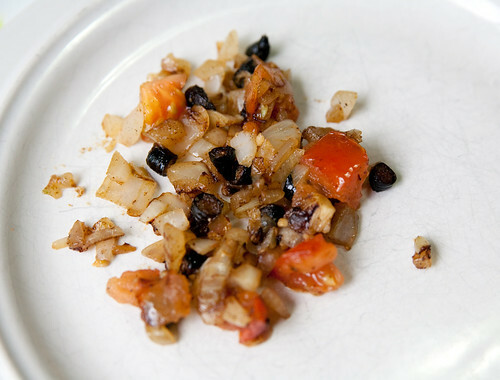 Instead of using them in a taco, though, because there were so few in the stir fry, we decided to eat them straight. It took a little bit of courage, I’ll admit, but as I suspected, they were tasty. Like others have said, they tasted like soft cashews or asparagus. The nutty flavor was definitely evident too. 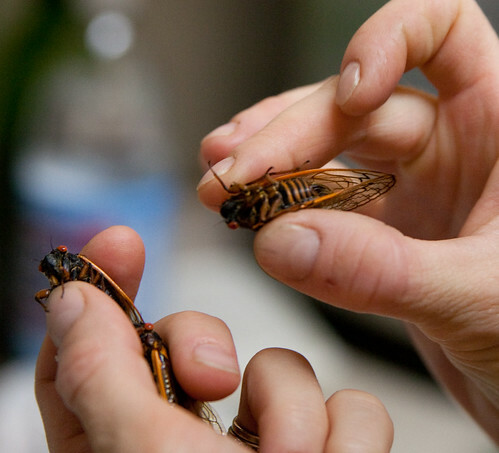 The newly hatched, or tenerals, cicadas are even better tasting, so I’m told. 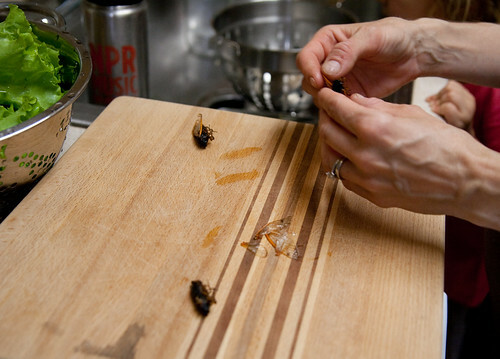 If you’re going to try cooking with cicadas, you’d better hurry. They’ve been here for weeks now, and will probably die off soon. Then, you’ll have to wait two years for a different brood, Brood IV, to emerge. 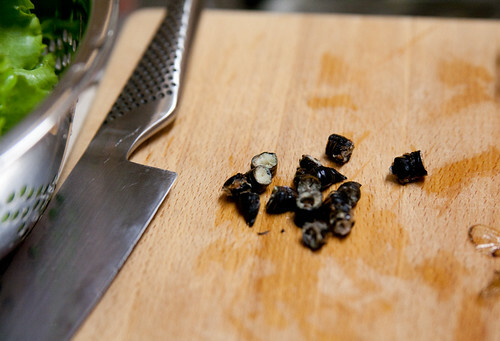 Enough time, I suppose, to add some insect recipes to your cookbook collection. brave family, i really doubt I’d have the nerve even if I knew they were going to taste alright! Then again, I love chicken but hate touching it raw. wimpy.